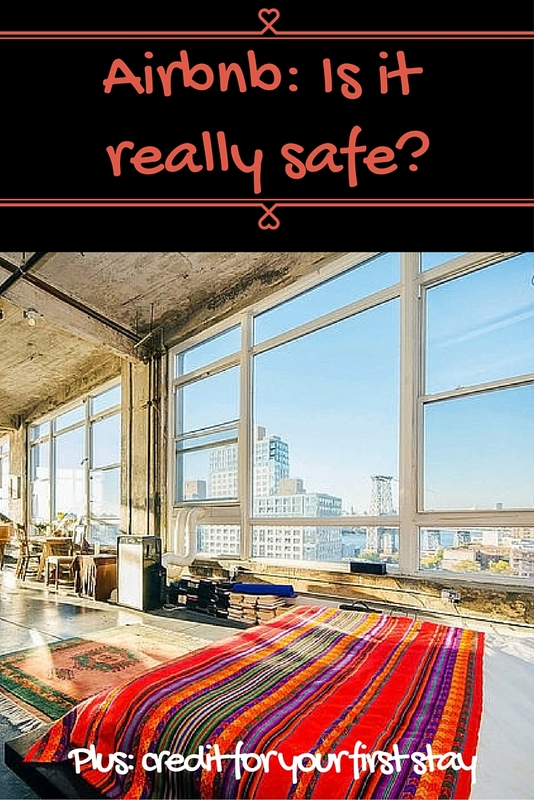 Airbnb: Is It Really Safe? Airbnb is vastly growing in popularity, but there are still people out there that haven’t experienced it yet. Whether its because they are scared, timid, or just don’t know enough about it. In this post we are offering up our experiences with the website, and hopefully we will provide you with some useful information along the way. Airbnb is a website where people looking for a place to stay and people who have rooms for rent collide. It currently has over 2 million listings in over 190 countries! 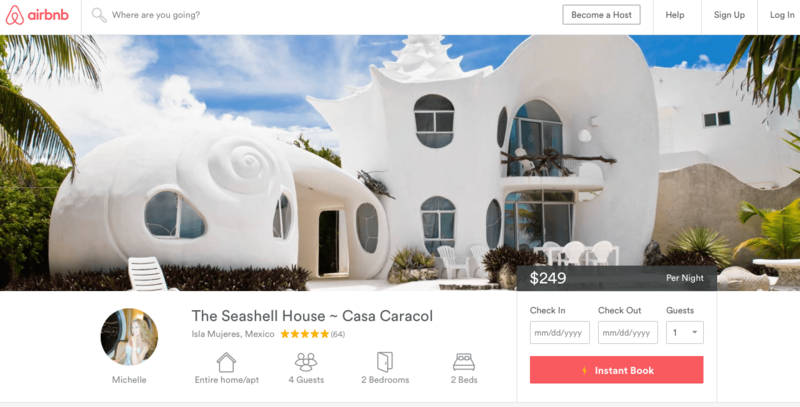 No matter what kind of accommodation you are looking for, whether it be an apartment on the beach, a treehouse, or even a castle, airbnb has it. On the website, you simply enter your destination and dates you would like to stay, then the available listings for those selected dates will appear. You then have the option to choose between renting the entire house, renting a private room in the house, or sharing a room. 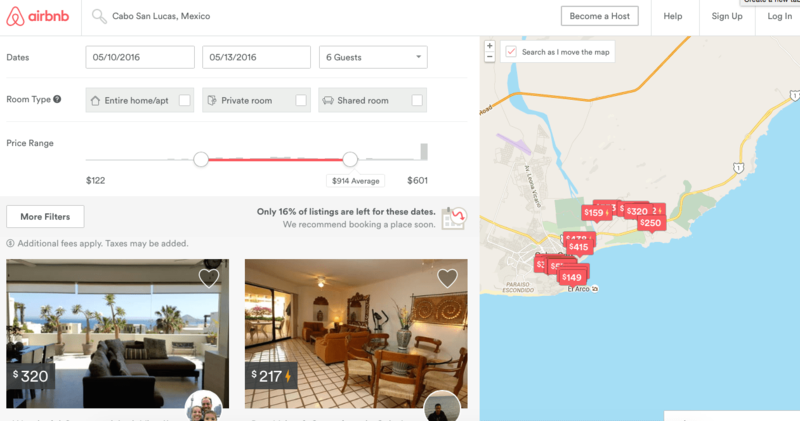 You can refine the search by room type, amenities, neighborhoods, and price. You can move around on the map to see the exact location you are looking for. Check the amenties. Is there wifi? Can you use the washer/dryer? Are dogs allowed? Check the reviews of the host. Do they have positive reviews? How many reviews do they have? When you find one you like, send the request to book. You can ask the host any other questions you have about the property before you book. We really enjoy being able to visit and chat with the hosts and get the true scoop on what to do around the property. It’s fun to have the option to sit and chat with them if you want. They can give you tips on places to see and do, parking tricks, or just fun tips about the area you are in. Staying with the hosts rather than in a hotel room can bring some extra insider tips. In our experience, airbnb has been cheaper than most hotels. 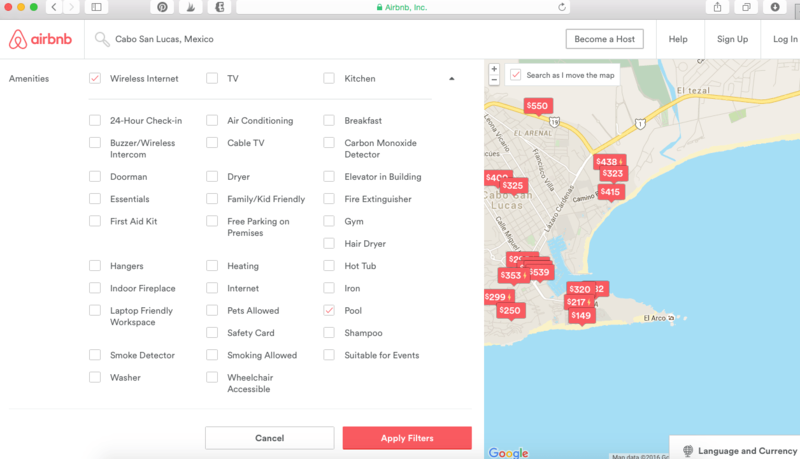 Also, some airbnbs will allow you to use things like the washer and dryer, fridge, kitchen, or include free wifi which cuts down on extra costs than hotels may charge for. It is especially cost effective if you have a big group of people all staying together. Airbnbs are generally more flexible with check in and out than a hotel. 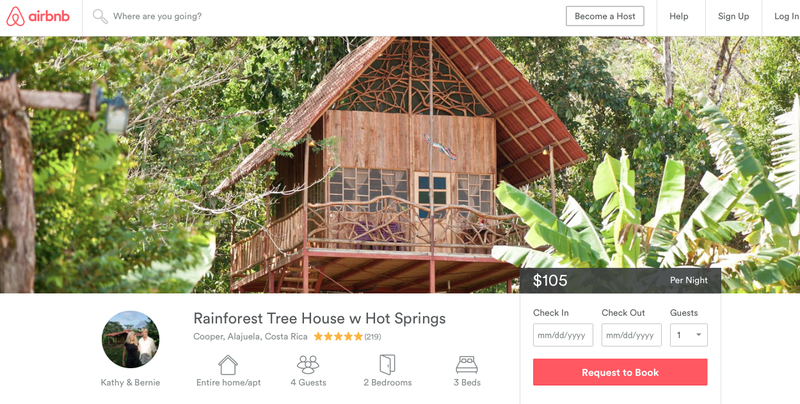 There are so many options on airbnb including location, prices, or amenities you want or need. We have found it to be easier to narrow down the options and really find something that intrigues you. Who doesn’t love dogs? Some rentals will allow you to bring your pet with you, which is great for those who love to travel with their animals. 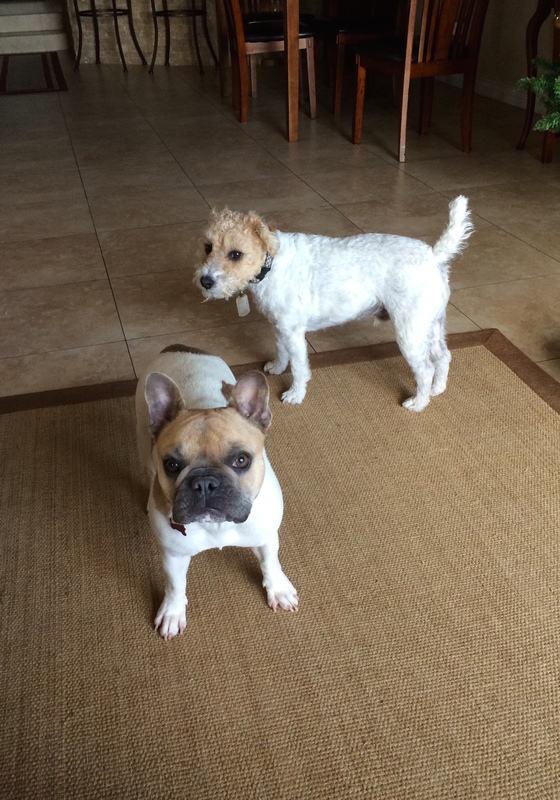 Other rentals will have their own dogs which is fun if you are renting a place and are needing to extra dog loving. We love picking rooms that have dogs simply because dogs make everything better! Aren’t these dogs just the cutest? When signing up, guests and hosts must verify their identity by confirming their social media accounts and confirming personal details. Guests and hosts both receive reviews that you can see when you are booking a room. All payment is handled through airbnb, so you wont be robbed of a stay. Things do happen from time to time, so if you need to, airbnb customer support is available 24/7. Check to see what all is included in your rental-sometimes the owners will have everything from kitchen use, toiletries and wine. It is not always included though. We had our first experience with Airbnb in 2013 in Paris and it was wonderful! It was our first international trip together and we took a chance with booking 2 Airbnb’s while we were in Paris and Barcelona. We found a private room in Paris that was located just 100m from the Eiffel Tower, for only $90/night. We were able to look outside the window and see the tower. And to top it off, Claire and her boyfriend were wonderful hosts! Although we only stayed with Claire for 2 nights, we have been hooked on Airbnb ever since! Now that I know you can’t wait to book your next vacation rental, here is $20 off your first booking of $75 or more, when you sign up. I used AirBnB many times during my trip to Australia last month, & I have to say, I’m hooked as well! We got BEAUTIFUL studio apartments & condos to ourselves for $75-90 USD a night. In terms of whether it’s safe or not, I think that as long as you play it smart while searching for hosts (i.e. ; reading reviews, etc) then you’re in for a treat 🙂 I can’t wait to use it again in the near future! Its unreal some of the places you can rent for how cheap they are! It is a great tool! Plus they even have castles and tree-houses! Yes, just like anything we think the reviews is a big part of it keeping it safe! Do you remember where you stayed at for your Airbnb in Paris? Looking for recommendations. Thank you! Well i always make it a point to read reviews and talk to the owners, it is my favourite places to look for accommodation not to mention it is budget friendly! Yes the reviews are definitely key!! You can find some really awesome spots for great prices! We will be having a trip on HongKong this coming week, and found an accommodation through Airbnb. So if ever, this will be our very first time to try it. Hopefully you love it as much as we do! Just be aware that your host can cancel at any time, leaving you stranded with flights booked and nowhere to stay. This happened to us with a cabin rental we booked in Maine. By the time she cancelled on us, it was too late to find a decent place in August, the busiest month. The wonderful family reunion we had envisioned was ruined. I do not consider it safe. Have heard many horror stories worse than my own, where folks are truly stranded, locked out in a foreign country, nowhere to go.